 Thanks for your interest in becoming a Sunday Farmers' Market volunteer! Volunteers are essential to the flow and health of our market. We especially rely on volunteers to assist with set-up and tear-down each day of Market, and to provide customer service to all customers purchasing market tokens and looking for a few answers to their questions. We have a lot of fun, you have an opportunity to meet good people, and to know that you are making a huge difference to the health of our market. 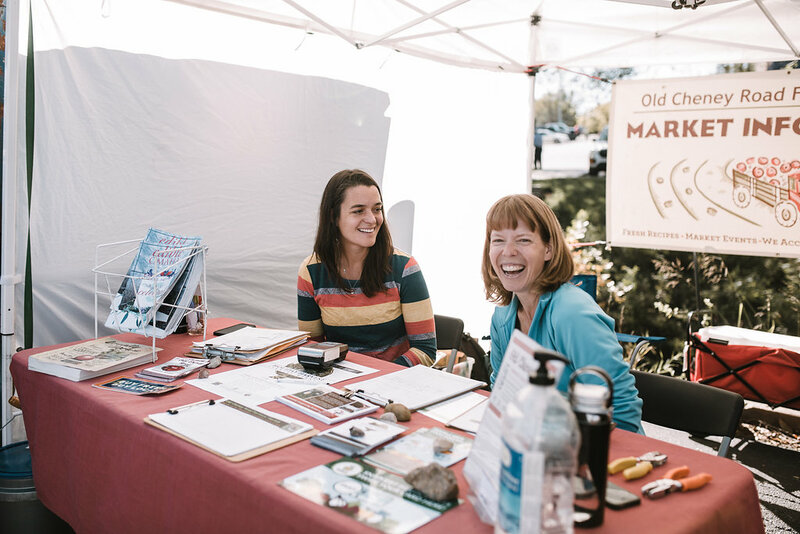 We also appreciate folks who reach out and offer to do what they do best, like photography, demonstrations of wildcrafting techniques, storytelling for kids, writing about our awesome vendors, or whatever else is up your sleeve! Reach out today and see how you can strengthen our local food community. If you have a specific skill you would like to share with the market, please list it here. Arrive at the start of their shift ready to help and have fun! Assist the market management team in market set-up, providing excellent customer service at the Market Information Booth, and market tear-down. This may include answering questions as you're able and running credit/debit/EBT cards for market tokens. Shop the Market! As a gesture of our appreciation, all market volunteers will receive $20 in market tokens for each 4 hour shift worked! *Heavy lifting of up to 50 lbs may be required during set-up and tear-down.